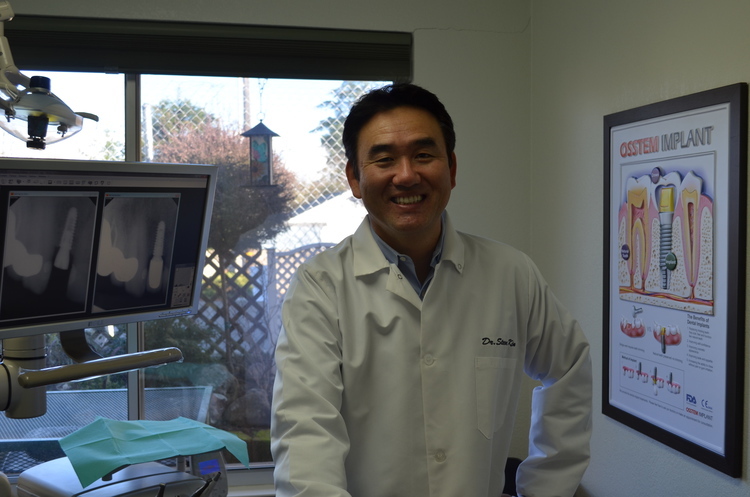 Dr. Steve Kim, DDS is passionate about providing patients with the highest quality, cutting-edge dentistry. His interest in modern, advanced dental technology and his dedication to lifelong learning allows him to present his patients with complex treatment plans with full confidence. Dr. Kim received his bachelor’s of science degree in Molecular Cell Biology from the University of California at Berkeley. He went on to obtain his Doctorate of Dental Surgery degree from the University of Southern California. Dr. Kim then returned back to northern California and has been practicing dentistry in Sacramento since 2001. In an effort to stay on the leading edge of dentistry, Dr. Kim is involved in numerous postgraduate courses. In particular, Dr. Kim’s interest in dental implants and love for teaching led to his involvement with Apsun Dental Implant Research and Education Center, or AIC. Through AIC, he is able to share his expertise in implant placement surgeries as a hands-on instructor for other dentists. He also keeps up with the dental community by being an active member of the Sacramento District Dental Society, the California Dental Association, and the American Dental Association. His participation in these dental societies allows him the opportunity to help the underserved children of the Sacramento community through the “Smiles for Kids” program. The Carmichael Dental Group office is outfitted with the latest technology for optimum patient treatment, education, and comfort. Dr. Kim encourages his patients to be active participants in their oral health. Extraoral and intraoral photography, digital x-ray, and panoramic x-ray are used to help patients to understand their oral health and to visualize their treatment options. Patient comfort is extremely important to Dr. Kim, and he offers sedation for patients who are fearful or for those require extensive treatment. When he’s not working, Dr. Kim enjoys spending time with friends and family. In particular, he loves trying out new restaurants and practicing his golf game.